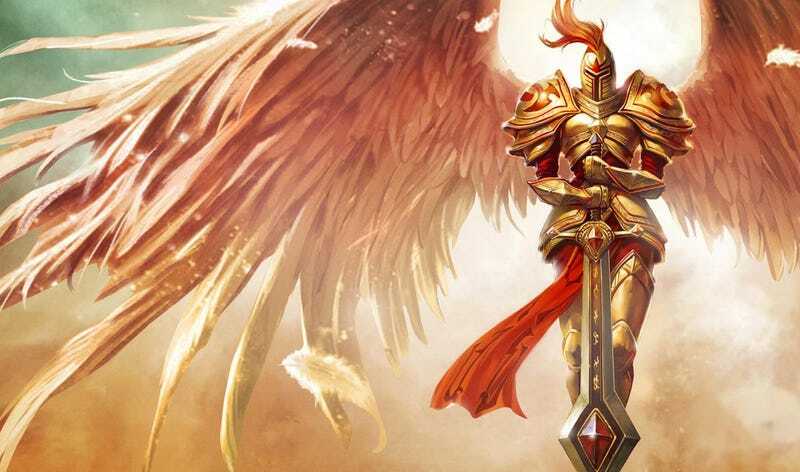 When Riot unveiled its tribunal system for League of Legends in 2011, it sounded like one of the most ambitious plans to improve standards in a gaming community a developer had tried. Inviting players to participate in a democratic process to judge their peers seemed groundbreakingly egalitarian. Oftentimes, it was. Then in early 2014—almost exactly a year ago—it suddenly disappeared. Riot said it was “upgrading” the tribunal system in a post on its website explaining why it had been taken down. But as the months went on and players heard little to nothing about the tribunal specifically, it started to look like it had just been removed plain and simple. Rather than have a promising (albeit imperfect) social and political framework that provided for teams of League of Legends players to gather together and evaluate cases of, say, player-on-player harassment, Riot’s rockstar MOBA was just returning to an old-fashioned model of chat restrictions and bans. Or so it seemed. Jeffrey “Lyte” Lin, Riot’s longtime social systems designer and the man most often credited for spearheading League’s initiatives to stamp out player toxicity, popped up on the game’s subreddit over the weekend to shed some light on the current state of the tribunal. Turns out, the tribunal is indeed coming back. Elements of the new and (hopefully) improved tribunal system will start to come into League of Legends as early as this month. The system “was focused entirely on punishments,” meaning that participants in the tribunal ended up being biased towards negative votes because they were only exposed to examples of negative behavior. It moved too slowly, which meant it failed to provide a successful feedback loop to help offending players understand or appreciate why, exactly, they were being punished. It was only available in English. This obviously limited the range of influence the tribunal system could have. And it didn’t help Riot make its case that it was trying to establish universal standards for all League of Legends players to enjoy. So how is Riot planning to do things differently in light of the original tribunal’s apparent shortcomings? I had two main takeaways from Lin’s most recent comments. First, he mentioned incorporating rewards for positive behavior. This is in line with what League has been doing for the past year: adding incentives for being nice in addition to the wrist-slapping mechanics that exist when people are not-so-nice. Q: are there going to be rewards associated with the new tribunal? if so, what kind of rewards do you have in plan/are sure that will happen? A: Yup. We should spend more time acknowledging players that do awesome things, and we’re not going to wait until the Tribunal’s return to do so. There will be little things here and there we’ll do for you guys. Specific rewards I can’t talk about a lot yet, but I do know they can be tricky; no one reward will actually feel like a reward to every player (not everyone cares about IP boosts or mystery skins, for example). We’ll talk more about it when we’re ready. Given that the original tribunal was a system designed to help adjudicate offenses—i.e., behavior in need of adjudication—there’s no telling what such a system would look like once it starts taking aim at positive behavior as well. Ok, onto the second big thing Lin touched on: feedback, and how to improve it. Lin said repeatedly that a problem with feedback League of Legends currently receive is that it takes too long to process. Speeding up the pace at which League players receive any kind of feedback on their recent behavior is therefore a top priority in building out the next-gen tribunal system. “Our goal right is now is under 1 hour after the behavior happens,” Lin wrote in response to a question about how quickly players would receive feedback in the new system once it’s introduced. And alongside the existing feedback loops for punishments and rewards, he also wants to add in similar features for reports themselves, so the players who write reports can see what impact, if any, they’ve had on the game’s community. It’s nice to see that Riot keeps trying to make its game, and the community around it, better. But gamers also need something firm to hold onto if they’re to be expected to change anything about their behavior. For the moment, the main tangible detail Lin mentioned that’s coming to League of Legends are “reform cards,” which will document the specific instances that warranted a player being reported or punished and show that player their own chat logs as evidence of their infraction. That’s what’s coming to League later this month. We’ll have to wait a bit longer to see what else the revived tribunal system has to offer.